Fiat S.p.A. said it is looking at cooperation opportunities after a newspaper said Daimler AG is interested in its industrial arm. 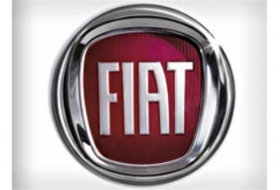 Italian newspaper La Repubblica said the German luxury car and commercial truckmaker was interested in buying Fiat's industrial unit when it is spun off and listed in January. Daimler denied it was in talks on such a deal. One analyst said only Fiat's Iveco truck operations, with 7.2 billion euros ($9.57 billion) in sales, would fit with Daimler, so it would end up with much that it did not want, making a deal improbable. The report said Daimler had offered 9 billion euros ($12 billion) for the Fiat Industrial assets this summer but that Fiat wanted 10.5 billion euros. Fiat did not directly deny the newspaper report but said it was normal business to look at growth opportunities for its various operations. "The group reviews opportunities to enhance operational synergies and access to new markets through potential cooperations of varied nature with other international manufacturers for each of its businesses," it said. The largest business within Fiat Industrial is Case New Holland, with more than 10 billion euros in annual revenue. The U.S.-listed unit makes both tractors for the agriculture sector as well as bulldozers, loaders and excavators for use in construction -- none of which Daimler manufactures. Analysts say Daimler would only go for the whole of Fiat Industrial if it had buyers lined up for CNH and the Fiat's powertrain activities. Though Daimler said it was not in talks to buy the division, that leaves plenty of room open for further speculation about a different tie-up. "It's no secret that everyone talks with everyone in this industry," a Daimler spokesman said. "But there are no talks with Fiat on this subject." Metzler analyst Juergen Pieper failed to see the logic of a deal. "They would need to sell off the rest of Fiat Industrial just to get at Iveco -- an awful lot of effort to go through, considering the truck business is not a particularly attractive asset. Nor are the chances high that antitrust regulators would approve a deal," he said. Other analysts voiced doubts over the deal. Georg Stuerzer, an analyst with UniCredit, said: “I don't see how a combination with Iveco would work from a competition point of view, especially in Europe." Germany's monthly Manager Magazin reported on Wednesday that Daimler Trucks chief Andreas Renschler had been in Italy for "negotiations" over the acquisition of Iveco. Daimler declined comment on the magazine report. Daimler and competitors Volvo AB and Scania AB are benefitting from increasing orders for commercial vehicles. Daimler's heavy-truck unit posted a second-quarter operating profit of 300 million euros compared with a loss of 604 million euros a year earlier. Daimler had 23 percent of the market for medium- and heavy-duty trucks in western European, based on 2009 delivery figures. A combination with Iveco would create an entity with a 34 percent share. MAN SE and Scania, both partly owned by Volkswagen AG, had a total share of 27 percent. Industrywide deliveries of heavy vehicles will grow by more than 50 percent to about 3 million vehicles by 2015 because of emerging markets, Andreas Renschler, head of Daimler's truck division, forecast at an industry event in Hanover this week.